Home / Industry News / What is Industry 4.0 and what does it mean for us as engineers? Initially devised as part of a German government-led strategy to promote digitalisation in manufacturing, the term Industrie 4.0 (aka the fourth industrial revolution) has arisen in recognition of the significant value that can be realised in transforming manufacturing from traditional techniques to a fully connected and digitally managed process, often known as cyber-physical systems. This strategy has now been embraced globally, though you’ll notice it is known by other names around the world: for example, Smart Manufacturing (in the United States) and Made in China 2025. In most cases, commercial companies are excited about the potential for Industry 4.0 technologies to help them remain competitive in a changing manufacturing space, which is particularly relevant for companies operating in high-cost economies (such as here in Australia & New Zealand). How might Industry 4.0 change the role of the engineer? As the number of connected devices is estimated to grow to around 50 Billion globally in the next few years, and with big data generated by these devices expected to rise at an even faster rate, there is a growing need for engineers with relevant skillsets. The role of the engineer has already evolved over the past few years as engineered products become increasingly smarter and connected – meaning that many industries that were traditionally focused purely on designing mechanical products are now needing to develop expertise in electronics, embedded software and communications/connectivity. Best-in-class manufacturers are now working towards a more multi-disciplinary approach to their engineering projects, as the changing nature of smart, connected products means that engineering projects are no longer complete once the product has shipped or been installed – instead the ongoing IoT data feedback means that each project continues for the entire product lifecycle (with opportunities for continuous improvement). Connected via IoT, product usage data from the field is fed back into the engineering process to assist in optimising performance/availability or to inform R&D to improve the next generation designs. New service-based business models are also being enabled by these IoT systems – which represents a massive opportunity for Australian industry. In turn, new systems and processes to manage and make sense of big data are being developed, leveraging Machine Learning and Artificial Intelligence technology. In the next five years, these trends concerning product complexity and connectivity will only increase and the ability of engineers to use the latest technology to design, manage, simulate, analyse and observe these will be critical. At the end of the day, this will allow engineers to be better informed and make their decisions smarter and faster. Where can I see this technology in action? LEAP is collaborating with many forward thinking commercial organisations and academic institutions in our region, including RMIT University. 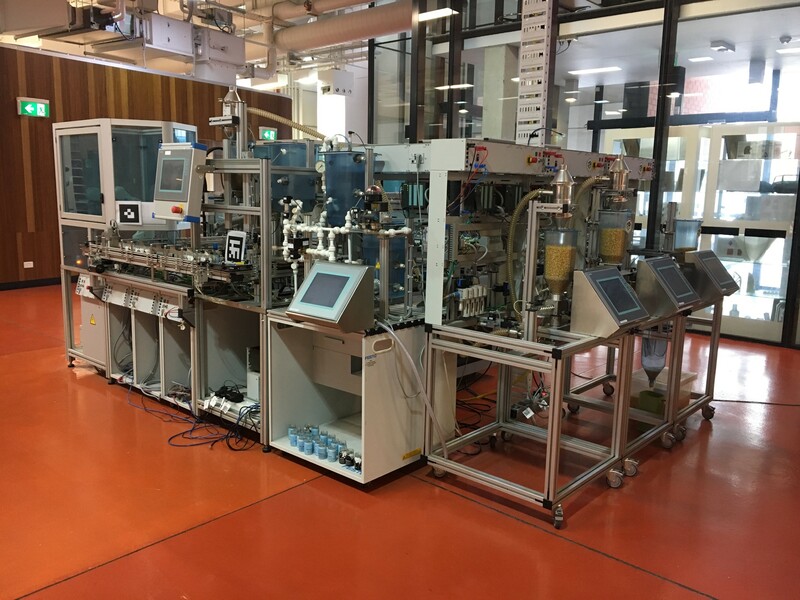 At the RMIT Advanced Manufacturing Precinct (AMP), their Festo mini-factory was typically used as a learning aid to teach students simple concepts regarding automation in a factory context. In addition, RMIT is also working towards creating a cloud-hosted Augmented Reality Digital Twin of the AMP that can be accessed from any location, as well using product lifecycle management (PLM) for managing internal and external collaboration across numerous national projects. How does RMIT plan to train graduates so they’re ready for Industry 4.0? Across RMIT, it is clear that the ways in which students are taught is changing rapidly. The current goal is to comprehensively expose all engineering students to state-of-the-art virtual prototyping and Industry 4.0 tools and ensure that these students acquire new employability skills and competences that are increasingly in demand from RMIT’s extensive network of industry partners; especially in IoT, AR and (the holy grail of many engineers) the Digital Twin (one for each smart, connected product). Combined with simulation technology from ANSYS, RMIT is expanding their industrially-driven research programs using PTC and ANSYS software to combine real-time operational data from smart-connected products with complete digital prototypes to facilitate the creation of Digital Twins for each physical asset in operation. RMIT recently participated in a panel discussion at the recent AMTIL National Conference on the topic of “How to Train the Next Generation Workforce?”. Understanding the characteristics of the Next Generation Workforce is, of course crucial, in answering this question. Since the Next Generation Workforce will be made up of post-millennials who have grown up with social media and smart phones, they are predominantly attuned to the visual language of 3D digital technologies that have already revolutionised how humans interact with computers. Accordingly, RMIT plans to overhaul their methods of training using PTC’s ThingWorx Studio Augmented Reality (AR) authoring software for easy-to-use, drag-and-drop creation of AR experiences. RMIT’s Mark Raphael explains that “at its core, the power of AR as a training tool grows out of the way humans process information. Since 80% to 90% of the information humans get is accessed through vision, AR is so effective because it provides in-context, real-time, step-by-step, visual guidance to learners. What’s next for Australian industry? At LEAP, we see increased interest from industry in fields as diverse as food and agriculture, medical technologies, building construction, aerospace and naval shipbuilding – disparate industries that are now bound together by a common focus on deriving lasting business value from using Industry 4.0 technology to deliver real-time, real-world insights from their connected IoT data. We are confident that the new insights delivered by key Industry 4.0 technologies such as Augmented Reality and Internet of Things mean that the future looks bright for these forward-looking local manufacturers and their future workforce. During our Creo 5.0 launch roadshows around Australia and New Zealand during late May & early June. Did you miss any sessions from our Industry 4.0 Technology Days in Feb/Mar 2018? Watch a few hightlights below and click here to access the full recordings!